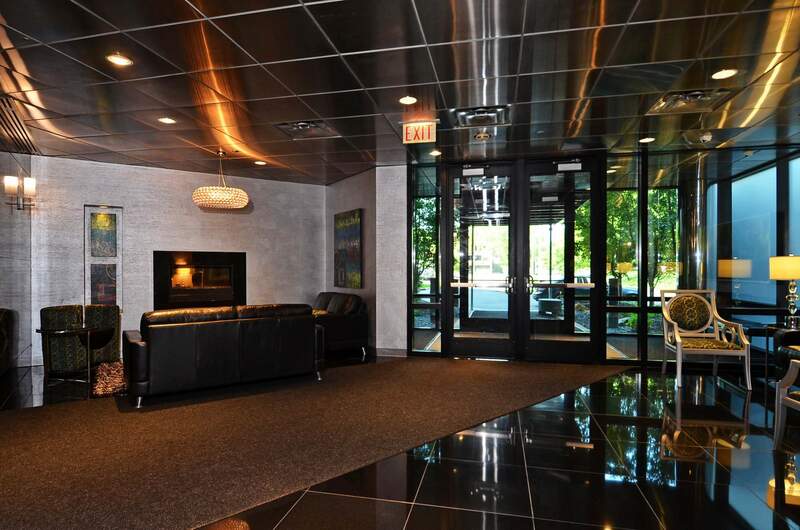 Are you looking for a condo community with great amenities and close to suburban convience? If so, the Cloud 9 Sky Flats could be your new stomping grounds! Located in in southeast Minnetonka near the boarders of Edina and Eden Prairie, Cloud 9 is a premier location for employees of large companies in the area such as UnitedHealth, Optum, and SuperValu. 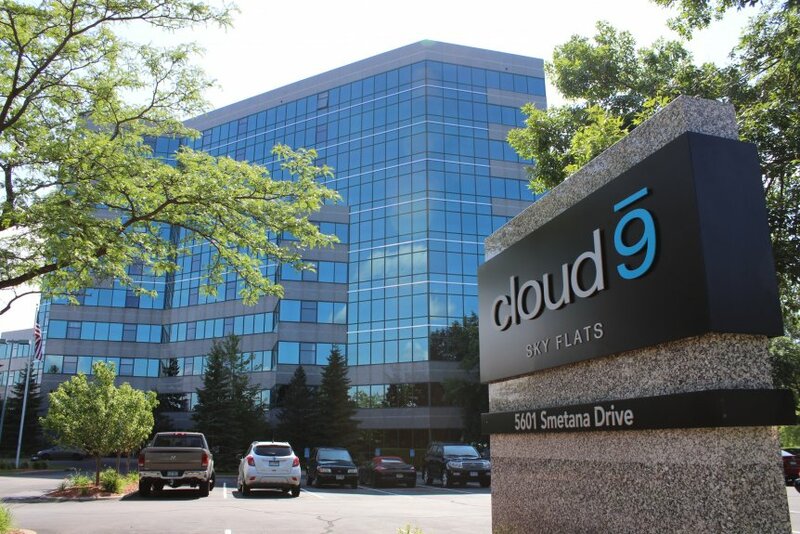 Cloud 9 Sky Flats, is also a short drive to both Eden Prairie Mall and The Galleria in Edina. It is also in close proximity to all of the major highways in the area. Cloud 9 Sky Flats has some of the top shared amenities for their residents. Below are some of the perks available to owners. Browse all available Cloud 9 Sky Flats condo listings and contact a Pro Team agent to schedule a showing. Only dogs, cats, small birds and fish, and other animals generally recognized as domestic household pets (collectively, "Pets") may be kept within the Units. No more than two (2) total pets may be kept in a Unit. Only two (2) dogs; two (2) cats or a combination of one (1) dog and one (1) cat may be kept in a Unit. No dog may be in excess of sixty (60) pounds. Dog breeds of Akitas, Dobermans, Rottweilers and Pit bulls are prohibited from being kept in a Unit and may not be on the Property at any time. No animal shall be raised or bred, or kept for business or commercial purposes, by any Person, upon any part of the Property. No Pet shall be allowed to make an unreasonable amount of noise, create odors discernable from the hallways or common areas, or become a nuisance or a threat to the safety of others. Pets may be housed only within the Units. No structure, fence or enclosure for the care, housing or confinement of any Pet shall be constructed or maintained on any part of the Property. Pets shall be under control of the Owner or Occupant of the Unit in which the Pet resides, or other competent person, at all times when walked or exercised on the Property. Owners and Occupants shall be liable for the cost of repairing any damage to the Common Elements, or any personal injury, caused by a Pet kept by them. Owners and Occupants must use the freight elevator or stairs when bringing a pet in or out of the building. Pets must use the designated pet area located on the far east side of the Property for urinating and defecating. All pet waste must be picked up and disposed immediately. Pets may not be left on patios unattended and at no time may a pet be allowed to urinate or defecate on a patio. Pets are prohibited from being on the rooftop patio. Pets engaging in repeated violations of these rules, engaging in behavior that is considered a nuisance, or that exhibit aggressive or dangerous behavior may, at the discretion of the Board, be expelled or removed from the Property. Prior to this action being taken the Owner of the Pet must be provided notice of this action and have an opportunity for a hearing with the Board of Directors. Use of Units for short term or temporary housing for a period of less than six months, Vacation accommodations, hotel or transient use, or any other use of a Unit by any person other than the Owner, or the Owner's immediate family, without compliance with the leasing and use requirements contained in the Association’s Declaration or these Rules and Regulations is strictly prohibited. Immediate Family of an Owner shall be defined as parents, grandparents, children, grandchildren, or siblings. Upon request of the Association, an Owner shall provide the Association adequate proof of any familial relationship, the adequacy of which is determined at the discretion of the Board of Directors. Further, prior to Immediate Family residing in a Unit for a short term or temporary housing, for a period of less than six months, the Owner must receive written approval from the Board of Directors, provide contact information for the Immediate Family, register fobs and comply with all other requirements in this Section 7, if applicable. Units shall be used exclusively for private, single family, residential dwelling purposes, the advertising, leasing or licensing of a Unit, or any part thereof, to any parties for less than a period of six (6) continuous months and where the contracting party does not actually reside in the Unit for the continuous six-month period shall be deemed to be a violation of Sections 7.3 and 7.5 of the Declaration, and these rules and regulations. The purpose of this provision is to eliminate the "hotel-type" rentals commonly found on websites such as Airbnb or Craig's List whereby individuals take possession of the Unit, or part thereof, for a period less than six (6) months. Owners must notify the Association, through its management company, of their intention to lease a Unit prior to entering into any lease for a Unit. No more than twenty (20%) percent of the Units in the Association may be leased at any time. Owners must obtain approval from the Association prior to entering into a lease to ensure the Association is not above its maximum leasing percentage. If the Association is at its maximum leasing percentage, Owners will be put on a wait list to lease. When an Owner who is leasing sells a Unit, the right to lease that Unit shall terminate, and the next Owner in line on the wait list shall be able to lease. An Owner who is next in line on the wait list to lease a Unit will be notified by the Association's management company. After receiving this notification, a Unit Owner will have sixty (60) days to enter into a valid lease on their Unit, consistent with the Association's Declaration and these Rules and Regulations. If after sixty (60) days a Unit Owner has not entered into a valid lease on their Unit and provided the Association notice thereof, the Unit Owner's ability to rent out their Unit shall be revoked and the Unit Owner will be placed at the bottom of the wait list. An Owner may make a written request to allow additional time for renting their Unit once the sixty (60) days has expired. Additional time will be provided only in extraordinary circumstances and the decision to allow additional is within the Board of Director's sole discretion. Once a Unit is leased, the Unit must have consistent tenants occupying the Unit; no Unit should be vacant longer than sixty (60) days in between tenants. In the event a Unit Owner fails to obtain a tenant within sixty (60) days, the right to lease shall be revoked and the Unit shall be put at the bottom of the wait list. An Owner who is approved to lease a Unit must provide the Association with the following: Owner's updated contact information, including address, phone number and email; ii. A copy of the lease with names of tenants, tenant contact information including phone number and email, and a description of the tenant vehicles which will be on the Property iii. It is the Unit Owner's responsibility to update the Association with any changes to the information required to be furnished to the Association pursuant to this section. No Unit shall be leased for any period less than six (6) months; No Unit may be subleased; All leases shall be in writing; and All leases shall provide that they are subordinate and subject to the provisions of the Governing Documents, the Rules and Regulations, and MCIOA. Leases of Units must provide that any failure of the lessee or the lessee's guests to comply with the terms of the Governing Documents shall be a default under the lease. Any contract for deed for the sale of a Unit in the Cloud 9 Sky Flats Association, which (i) does not provide for a down payment by the contract for deed buyer of a minimum of five percent (5%) of the property tax value of the Unit; (ii) is for a period of less than twenty five (25) months; (iii) allows either of the parties to terminate the agreement upon notice to the other party; or (iv) the buyer does not acquire equity in the property during the term of the contract for deed, shall be deemed to be a lease of the Unit and subject to all requirements of the Association's Declaration and rules pertaining to leasing of Units. Upon prior written request by an owner, the Board of Directors will meet with such owner and review any proposed sale of a Unit on a contract for deed. The Board, in its sole discretion, may waive section 7.9 above and not deem a particular contract for deed to be a lease. Unit Owner's shall be required to sign and return to the Association an acknowledgement letter providing that they have read and understand the Association's rules with respect to leasing and that they have provided a copy of the rules and regulations to their tenants or any other occupants of their Unit as permitted in accordance with the Association's governing documents. Units are presumed to be Owner occupied. All Owners must at all times keep the Association apprised of who is residing in the Unit or has access to building fobs. It shall be a violation of this provision if it is determined anyone is residing in a Unit, or is using a building fob, other than an Owner, without first providing notice to the Association. The Association may also take any other action or implement any other policies and procedures necessary for the administration of these rules and regulations and the processes related to leasing a Unit within the Association.